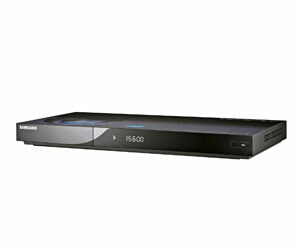 No other home video format can match Blu-ray for high definition picture quality or cinema-type surround sound. Follow our simple buying guide to learn about the benefits of Blu-ray and how to take advantage of them with a Blu-ray player. Blu-ray is considered to be HD (high definition) format. DVD is SD (standard definition). What Are The Benefits Of Blu-ray? Image quality: Image resolution is measured by the number of horizontal and vertical pixels. Blu-ray provides superior resolution, which means you see image details more clearly. Cinema quality sound: The high resolution sound formats, Dolby TrueHD and DTS-HD, recreate cinema-quality surround sound. Special features: More storage space leaves room for more special features. Which Features Should I Look For? Formats: All Blu-ray players will play CDs and DVDs, but not all players support recordable CDs and DVDs. 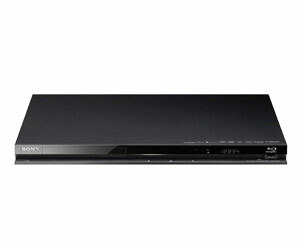 DVD up-scaling: Some Blu-ray players will increase the resolution of your DVDs. Connecting: Ensure the Blu-ray player – including a 3D Blu-ray player – has the right connections to suit your TV and home theatre. A Bonus View (profile 1.1) Blu-ray player will let you watch a movie and a second screen for the extra features (such as director's commentary) at the same time. Can I Connect To The Net? A BD-Live (profile 2.0) Blu-ray player will let you download extra features from the bonus movie section of your Blu-ray disc through the Internet with this function. Look for Ethernet and USB ports. Some will allow you to access YouTube and Picasa. Record your favourite television programs to an in-built hard drive and then burn them to disc with a Blu-ray recorder. For perfect pictures: Without a high definition TV that is capable of displaying 1080p images, Blu-ray is wasted. For better sound: A digital AV receiver with 5.1 or 7.1 channel audio capabilities is needed for surround sound. For the best sound look for a 7.1 channel AV receiver, HDMI input, Dolby Digital Plus and TrueHD support. Region: Ensure your Blu-ray will play Region A discs. TV: You'll need a TV capable of projecting 1080p. Surround sound: You'll need a digital AV receiver with 5.1 or 7.1 channel audio. Recorders: Record your favourite show to disc. 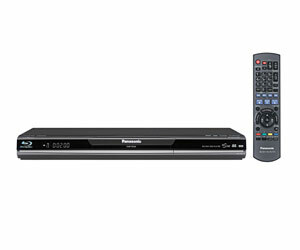 Profile: BD Live (2.0) Blu-ray players have the most features and you can update them on the net.